If you’re a regular here at KrisCarr.com, you know I love nourishing, whole foods—from growing them in my garden to cooking them up in the kitchen to serving them up at the table. And I’ve done a lot of research when it comes to what fuels our bodies best. But when I adopted my dog Lola (and later rescued and rehabilitated Buddy), I realized that there was a lot I didn’t know about food for our furry friends. A lot of you are proud pet parents. And over the years I’ve gotten tons of questions about pet food—especially dog food. And although I’ve tried to educate myself as best I can, I’m not the go-to pet food expert. So what do I always do? I find an expert we can trust! health writer, canine nutrition consultant and healthy pet food advocate. Through her company, Pet Food Diva, she provides dog parents with custom-formulated diets to optimize the health and longevity of their canine companions and she also created a way for dog owners to self-study canine nutrition through her online master course. Whether you’re trying to weed through commercial dog food ingredients or understand the differences between cooked and raw options, we’ve got you covered! Kris: What should we know about the pet food industry to be informed consumers? Diana: The pet food industry is evolving toward many healthier food and treat options, such as gluten-free, non-GMO and organic. At the same time, all these options can feel overwhelming, and you can’t always trust the marketing claims. That’s where credible information sources come in. They can help us make educated decisions about what we feed our pets. When you’re researching, look for information sources that have no financial stake in the products they recommend (i.e. avoid large pet food companies that benefit by claiming their products are the best), rely on factual data and have appropriate education and expertise in their fields of knowledge. The top three information sources that I trust are DogAware.com, Jean Dodds, DVM, and Dr. Karen Becker, along with my website, Pet Food Diva. Kris: What should we watch out for when reading pet food labels and what the heck are by-products? Diana: When reading labels, we should ignore the marketing claims on the front of the package and focus on the ingredients list on the back. Fresh meats, fruits and vegetables should dominate the food. Beware of artificial colors (e.g., Blue 2, Red 40, Yellow 5), flavors (e.g., MSG), humectants (e.g., propylene glycol) and preservatives (e.g., BHA, BHT, ethoxyquin). Also beware of a common tactic known as “ingredient splitting” or “fractioning”, which occurs when a less desirable ingredient, such as corn, is “split” and listed as its different components (e.g., “ground corn”, “corn meal” and “corn gluten”). “By-products” refer to parts of a slaughtered animal other than the muscle meat, so pet food “by-products” are typically the discarded parts of dead animals left over from the human food industry and deemed unsuitable for human consumption. I highly recommend avoiding them. Kris: What foods do dogs thrive on? And what should they avoid? Diana: Dogs thrive on fresh, minimally processed foods, such as lean muscle meat, organ meat, fish, eggs and some vegetables and fruits (except, of course, those that are toxic to dogs, such as grapes, raisins and onions). 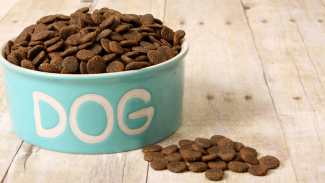 Avoid dog food brands that include chemical additives and highly processed soy, wheat and corn-based proteins (which are also problematic because of things like GMOs and mycotoxin contamination). Fresh animal-based proteins supply the ideal amino acid profile for dogs in their most bioavailable form (more on amino acids and protein below). The foods a specific dog thrives on will depend upon his individual health status, physiological state, age and lifestyle. Kris: Which is better for dogs: raw or cooked food? Diana: The answer depends on the individual dog. Many dogs thrive on raw food diets, while others respond better to foods that have been lightly cooked. Raw foods tend to be high in fat, which may be more appropriate for high-energy sporting dogs. 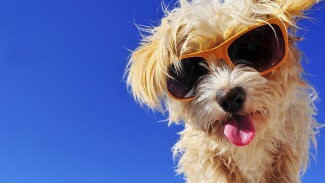 But canines with GI issues may do better on cooked foods, as these dogs are at greater risk of bacterial contaminants. Studies show that fresh, whole foods are more bioavailable than highly processed foods; the decision whether or not to cook these foods depends upon the individual dog, as well as the owner’s preferences. Kris: Can dogs do well on a vegetarian or vegan diet? Diana: Dogs need lots of “high-quality” proteins to thrive. High quality proteins supply the correct level and composition of essential amino acids in forms that are highly digestible and absorbable. Unlike people, who are efficient at processing amino acids from plant-based sources, a dog’s digestive system is “built” to break down and assimilate animal-based proteins. Therefore, animal-based sources offer the highest quality proteins dogs need. That’s why I do not personally recommend plant-based diets for dogs. If a vegetarian or vegan diet is provided, it should be purchased from a reputable commercial manufacturer or formulated by a qualified nutritionist to ensure it is properly balanced. Kris: Should we feed our dogs the same foods across their lifespans or do they need specific foods for specific ages? Diana: Dogs need specific levels of nutrients at different stages, and their diets at each stage should best provide these nutrients. For example, young puppies require much higher levels of protein and calories than adult dogs at maintenance weight and size to fuel their rapid development, as well as different amounts of vitamins and minerals. Many people believe that healthy senior dogs need less protein, when in fact they require as much as 50% more protein than their younger counterparts to avoid loss of lean muscle mass. Kris: What are your top dog food brand recommendations? Diana: My top dog food recommendation always depends on the individual dog because the brand must align with the specific dog’s health status and physiological requirements. I recommend identifying a few high-quality brands based on the parameters we have discussed above, and then experimenting to determine which brand best agrees with your dog. Barring any specific physiological requirements or health issues, Orijen, Sojos, The Honest Kitchen, Stella & Chewy’s, Primal Pet Foods and Darwin’s are all brands that meet the qualifications discussed above. Of equal importance is letting your dog’s taste buds choose the food he/she most enjoys! Kris: What are your favorite lifestyle tips to help our fur-kids thrive? Diana: Providing your dogs a wholesome and nutritious diet and enough physical activity are two important ways to help them thrive. Equally important is carving out quality time to spend together. It really doesn’t matter which activities you choose to share with your pets, as long as you both enjoy them and they strengthen your loving bonds. I hope this information clears up some confusion so that you can become a dog food detective and find the right diet for your canine companion. Your turn: Have you found a diet that works for your dog? Share your tips in the comments! P.S. Want some sweet animal reminders in your daily life? Hi Kris – love , love, love you and everything you do !!! Question ? Do you have any recommendations for flea and tick control for our fur babies ? I hate putting toxic stuff on my baby but I still want her protected – don’t know what to use. Hi, Ivy~ there are many different non-toxic ways you can control fleas and ticks: building and strengthening the immune system through biologically appropriate nutrition (best defense), using food grade diatomaceous earth (externally and internally), a wee bit of raw organic garlic in their food (in accordance with weight), an herbal collar, essential oil sprays (I sell one I like through my website), and more. Most effective when you use a number in concert together. You can also look to “Dogs Naturally Magazine” for tips and suggestions… they’re a *fantastic* resource! Don’t have an issue with fleas but living next to the woods with multiple daily walks in the woods the ticks are a pain! What works for my five dogs is coconut oil (the very good stuff I use in my kitchen). They are oily, it is a bit messy and time consuming (currently twice a day) but hey it keeps them tick free and healthy! Will you be doing a similar article on cat food? 🙂 I would love to hear the ideas of you and your experts. This article is awesome! Thank you so much for writing it. We’ve been feeding our puppy (now 11!) a home cooked meal since he was a year old. We tried every food on the market, including raw and he just wasn’t thriving. We were at the vet every few weeks with intestinal distress. One day I saw an interview with Andi Brown who wrote “The Whole Pet Diet” and immediately picked up the book. We’ve been cooking ever since and our 11 year old doodle is more active than many dogs half his age! This is something near and dear to my heart, thank you for using your platform for getting the good word out! Our companion animals are suffering the same types of ailments and diseases we are nowadays (diabetes, cancer, obesity, allergies, IBS, etc), and it’s no wonder why. They’re not getting enough exercise to meet and deplete their individual energy stores, not enough fresh air (indoor circulated, polluted, etc), drinking un-pure water out of the faucet, subsisting on highly processed “food-like products”, are over-vaccinated, doused with chemicals to help control things like fleas, ticks and heart worm, and much, much more. An animal’s physiology will always dictate what that animal should be taking in for health. How we are built literally tells us what we’re all designed to take in, utilize and absorb. This is information! Our body mechanics (e.g. movement of jaw when we chew), pH balance in the system, shape of our nails, teeth, length of the intestinal tract, and more. Dogs have the ability to thwart fleas, ticks, etc on their own if their bodies and systems are provided what they need for immune and overall strength. This is what drives me *bonkers* about the Frontline commercial: https://www.youtube.com/watch?v=cnfMtg-D6VI (“You wish your dog could fight off fleas and ticks…. but since he can’t…” FALSE ADVERTISING. Dogs CAN. When we stop suppressing their immune systems through the *types* of nutrition we’re giving them, quit with the over-vaccinations, stop feeding them highly processed, enzyme-deficient, additive/preservative/other questionable-ingredeint-pumped food-like products, and so on. Real food = real health. Prior to the 1950’s when “kibble” and “biscuits” went more mainstream, dogs were subsisting on real food… and thriving (as well as other lifestyle differences). In a dog’s case, real, species and biologically appropriate food = real health. A dog’s quality of life is 100% dependent upon the choices we make for them. How much exercise they get. Whether or not we’re teaching and guiding (they’re not born knowing what we consider to be “acceptable” vs. “unacceptable” behavior, “polite’ vs. “impolite”, “respectful” vs. “disrespectful”; the onus falls upon us to teach them this). If we’re meeting and fulfilling their instinctual needs as members of a completely different species of animal. What we’re providing them for nourishment. And so on. My hope is we’ll return to our own instinctual ways and a more natural way of existing, so that we can help dog return to his/hers (we’ve probably got some of the most psychologically challenged and neurotic dogs on the planet, and we don’t have to look further than our end of the leash as to why. But this is an entirely different convo ; ) ). Healthy ways lead to healthy days! Waiting on the one for kitties! My five dogs and four cats are thriving on a raw meat diet! I am glad to see the same resources I value and check. When it comes to vaccines Jean Dodds is just awesome! I do not respect feeding dead animals to dogs. It is unnecessary and cruel. Go vegan. This is disappointing to me Kris . I’m surprised you are promoting cruelty. Kris is not promoting cruelty. She is promoting the best ways for dog owners to feed a diet that will help their pets thrive, not just survive. You must understand that canine anatomy is very different from our own. If you were walking through the forest and you were suddenly faced with a wolf pack, would you not fear for your life? I would imagine you would, and not because the news keeps showing stories of wolf gang initiations where a new wolf must kill the first human they see to be a part of the pack. It is because canines require meat to thrive. Wolves, like dogs, don’t hunt for sport, they hunt to survive. Humans, on the other hand, have lived for thousands upon thousands of years on vegan diets and thrived. Our bodies are simply built differently. While *SOME* dogs can survive on a vegan diet, for most, the lack of high quality protein in their diet causes severe nutritional deficiencies and becomes like a mild form of torture to them. So, dear Kristin, please don’t hate on Kris for helping us dog lovers to give our carnivorous friends the best possible life they can have. If you would like to have a vegan pet, thats amazing! I would suggest a rabbit or guinea pig. Or, if you’d like a larger animal, maybe you’d love a horse or an elephant. These are animals who share our human, veggie lovin’, herbivorous ideals. Don’t get me wrong, it makes me (a vegan myself) a little squeamish to prepare meat for my dog, but in the end, I chose to have her be a part of my life, she’s not forcing me to care for her, and I know I need to do what is best for her sweet furry body, not my own personal values. I just love you! You are such and inspiration! But, I have to say I don’t agree with you on the dog food issue. My last dog Sundance, (a lovely yellow lab) died of lymphoma at only 9 years young. Then when I rescued Kona, my sweet black boy lab, I started feeding him the high quality dog food that contained meat. Then it occurred to me, if I believe that meat and dairy makes cancer cells grow, why am I feeding my dog meat? 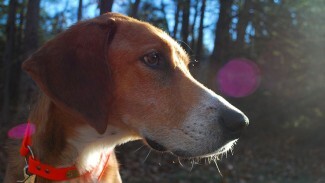 So, I switched Kona to V-Dog http://www.v-dog.com He is healthy, happy, energetic and thriving. As a vegan I also feel so much better that I’m not causing any cruelty to feed my dog. I hope you’ll look into this high quality vegan and compassionate dog food. LOVE this post! Well done, Kris! I have been looking for pet experts that I can trust & refer to friends & family. I love Diana’s answers – she knows her stuff! And I love how she explains that different dogs need different diets & which ones usually do better on raw vs. cooked. All thumbs up. Thank you, thank you. I have to agree with the vegan dog-lovers, why vegan for us and not for our dogs? I switched my 4 dogs to vegan food (part dry, and part wet that I make for them) over a year ago, and they are happy and healthy. And I am so much happier not contributing to the abuse of animals! Making cooked dog vegan dog food is really easy: 1/2 beans, 1/4 grains, 1/4 veggies: all cooked and then blended in a food processor. I love cooking for my kids! This is awesome! Out of fear for the health of my dogs I initially raised my pack on a meat based diet. I just couldn’t continue this as it is not inline with veganism, so I decided to transition them to a vegan diet. V-dog, canned Natural Balance vegetarian formula, and fresh veggies rock! My dogs are healthy, fit, and have tons of energy. Do your research! There are many perspectives on animal health. Options that will allow your companion animals to thrive are out there! Arae there any specific food for dogs with allergies? My dog has many allergies but with food, he especially cannot handle chicken. He is currently on a vet prescribed hydrolyzed protein food which has helped his GI issues but not his other skim allergies. Just wondering if these more natural foods on the listed web sites would be good for a dog that is doing well GI wise on hydrolyzed diet. I also disagree with this article on dog food! Meat is carcinogenic (especially meat or poultry that is not organic) when it is a primary ingredient in dog food. If you feel you must feed a meat based dog food, be sure to feed an organic dog food, like Organix. I still don’t think that much animal protein is healthy for a dog without supplementation of fruits or veggies. V-Dog and Halo Vegan Garden Medley are both excellent vegan dog foods. Halo also makes great vegan dog treats. Dogs love apples, blueberries, sweet potatoes, carrots, broccoli, and my dog’s favorite snack is Kale!! My 15 year old lifetime raw foods poodle mix pup’s FAVORITE snack is NORI. Thanks Kris for addressing this topic! I e-mailed you a while back asking about this subject, because I know you have two dogs, and I was curious what you were feeding them. At the time, my dog was having a lot of trouble digesting her food. We found out that she’s allergic to a lot of the ingredients found in common dog food formulas, so now she’s on a kangaroo formula by Zignature, and she loves it and is back to her perfect health. I have been feeing my flatcoat retriever Origen ever since she was a puppy and she is now 6 years old. Everyone always comments on her beautiful coat and her teeth are really clean and her breathe never smells (unless she eats some digusting decaying carcass out on a walk). I have an 11 year old cat who has until last week never been to the vet and I feed her on Origen too. I treat my animals homeopathically unless it is something that warrants a traditional vet and do not vacinate every year, they are only vacinated after birth and then not at all. I also use an animal healer who has sorted out emotional problems. I am happy to say that all my cats have lived into their 20’s and have been extremely healthy and I am convinced that this is because of what I feed them on. By-products aren’t bad for a dog, that’s misleading. By-products (kidneys, liver, brains, and so forth) provide vital nutrients which can’t otherwise be sourced from muscle meats. This is something many raw-feeders fail to realize. The real problem with by-products in a pet food is what those by-products are. It’s what’s left over at the very end of the chain after anything that can be sold for human consumption is extracted. What we’re talking about here is waste from the “human consumption” factory thrown into a bin marked “pet food only” (usually inclusive of other general waste from floor staff) which then gets denaturized and sent off to the kibble factory. My guys are liking ‘Open Farm’ – they use sustainably caught wild fish (you can track where it was caught) and humanely raised animals. They also take back the bags and recycle them. I forgot to mention, both my Akitas love kelp. Feeding our “chosen” animal the flesh of other animals became too much for my partner and I. We don’t want our dog consuming all of the pain and suffering endured by the animals used to make the food. We switched our dog to vegan food a couple years ago and she is THRIVING. I know her soul is rejoicing! Human animals and canine animals can all do well on a vegan diet. 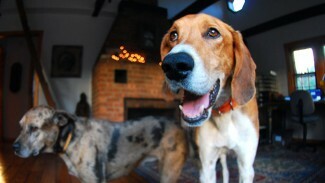 Good pointers for people planning to add a furry member of the family or first time dog owners. When you get a dog, it’s not just as simple as getting a new appliance or a new smartphone. There are a lot of responsibilities to take into consideration. Dogs smell, dogs shed, dogs poop, dogs need walks and a lot of other stuffs that needs attention. If you think you’re ready to deal with that, then go get a dog now and enjoy having the most loyal pet ever. Looking forward to the next article on guidelines in providing cats the best life ever. Kris, Thank you for all the great information on what to feed our fur babies! Like you, I have a dog that needs a cart to go on our walks. I would like to know what exercises you do for you dog? Daisy, my Border Collie, goes to physical therapy and has accupuncture 2 times a month. Any tips you can provide would be much appreciated. The info here is so important for all pet owners and I’m so glad you included it on your site. Too many people just feed their pets what they’ve always fed not realizing that their needs change as they age and that companies change their recipes all the time and just because your dog does well on a food now doesn’t mean they will do well on it forever. Thank you for share. This post is very good. one of the best posts i have read about pets dietary needs, i have alot of people tell me that dry kibble is not good for pets is this true? Even high grade kibble can be too starchy. To prevent yeast overgrowth & worse, supplement all kibble with apple cider vinegar, plain unsweetened coconut yogurt and LOTS of FRESH VEGETABLES. daily. Pluse some raw grassfed meat or dog grind with bones&organs. Hi Kris love you and everything you do !!! Question ? Do you have any recommendations for flea and tick control for our fur babies ? I hate putting toxic stuff on my baby but I still want her protected – don’t know what to use. Hi manan – love , love, love you and everything you do !!! Question ? Do you have any recommendations for flea and tick control for our fur babies ? I hate putting toxic stuff on my baby but I still want her protected – don’t know what to use. hi man very useful information. thank you! hi man Will you be doing a similar article on cat food? Kadenang Ginto April 15 2019 I would love to hear the ideas of you and your experts.